St. Patrick’s Day is the celebration of Saint Patrick, one of the most recognized patron saints of Ireland, and Irish culture. What was once a holy celebration, today St. Paddy’s Day is a not-so-holy day filled with gluttonous eating and drinking. Bring on the ridiculous red beards, green beaded necklaces and Guinness because this week’s Apps on Tap is filled with apps that will have you feeling lucky. Pubs across the country will be filled with party-goers looking to quench their thirst. On holidays like St. Paddy’s Day nothing is more frustrating than craving a smooth, mouth- watering Guinness only to find out that your local pub only sells Sam Adams Winter Ale on tap. Oh, the disappointment! This St. Patrick’s Day avoid the crowded “wanna-be Irish” pubs and find a local pub that serves your favorite Irish beers. Findmytap is a crowdsourced app that helps beer lovers and spontaneous pub crawlers find pubs and bars that serve their favorite beers. How does it work? With Findmytap, users can search through the app’s robust list of over 200,000 draft beers. Then using the app’s location-based search tool, users can find local bars or pubs serving their favorite beers. Each location is pinpointed on the app’s map making it easy for users to get to their destination quickly and easily. Each registered bar or pub contains detailed information, including phone numbers and links, so users can be sure the bar’s tap is stocked to their liking. 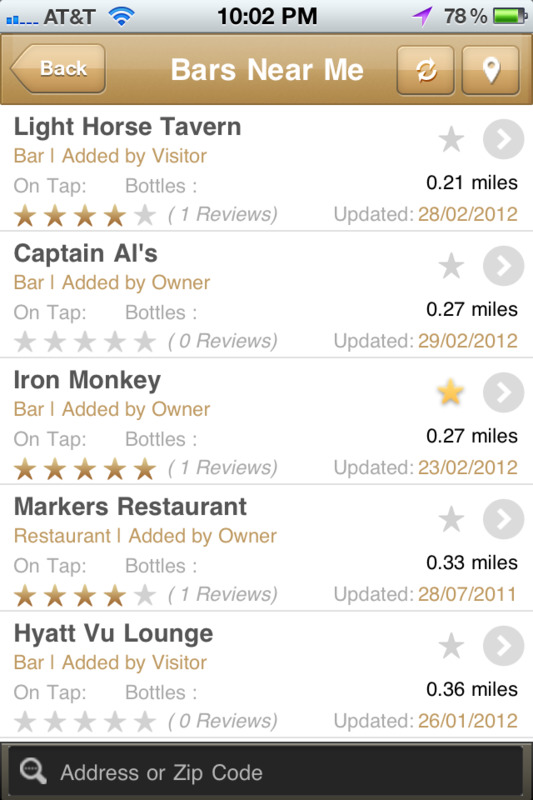 Users can also add different taps, comments and reviews to bars or pubs already registered within the app. Find something you like? Add your favorite watering hole or beers to the app’s “favorites” feature. Whatever your poison may be, Findmytap is the perfect digital wing man (or woman). Why mingle with floozies drinking Smirnoff Ice, when you can mingle with like-minded beer lovers this St. Patrick’s Day. Finding a taxi in a sea of city-dwellers is hard enough, but throw in a bunch of alcohol- infused leprechauns and you’ve got yourself a problem. Finding a taxi on one of the most celebrated drinking holidays of the year is like finding a pot of gold at the end of a rainbow, impossible. May the luck of the Irish be with you all! Avoid the disorderly crowded streets and catch a ride using Taxi Magic. Taxi Magic is an online taxi booking service featuring 85 taxi fleets in 45 cities across the U.S. This time-saving app gives users the ability to search for taxis based on their location. Users can order a taxi using the “fleet” button in real-time or book a taxi service for a later pick-up time. The app offers users four easy ways to select their desired address or location. Users can type their address in the selected bar, choose an address from the provided map or pull an address from their smartphones address book. For easy booking, the app saves previous locations. Don’t want to wait out in the cold? 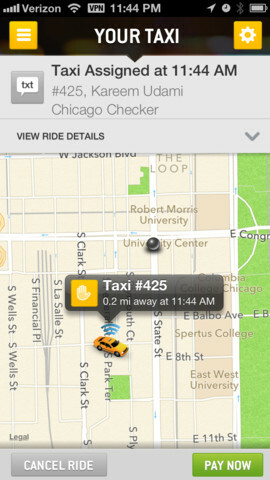 The apps live-tracking feature gives users the ability to track their taxi on the map interface. Even more, users can set ride alerts to keep them in the loop. Instead of fussing with change, use the apps secure credit card payment feature, which allows users to securely input and manage multiple credit cards using the apps “Magic Account” feature, or add your drop-off location for a fare estimate. Don’t be left out of the fun or in the cold this St. Paddy’s Day. Catch a ride with Taxi Magic, your feet will thank you later. After a few pints of Guinness and a couple Irish car combs, it’s hard enough to understand English let alone comprehend an Irish folk yelling at you from across the bar. Luckily for you, there’s the iPaddy Irish Slang Guide to keep you from acting like a maggot in front of your muckers on St. Paddy’s Day. Hold your own this St. Paddy’s Day with the iPaddy Irish Slang Guide, which boasts 150 Irish slang phrases and an alphabetical slang index. Users can shake their smartphone to reveal a random phrase spoken in true Irish form. Can’t figure out what coddin’, jammers or jackeens means? Don’t worry, the apps easy-to-use word index lets users alphabetically search through words and phrases. The app’s index feature also includes the definition and proper usage of words and phrases. The app’s interface features hilarious cartoons and 3D graphics, as well as authentic soundtracks spoken by real Irish actors. With the iPaddy app, you will be speaking like a true culchie in no time. Get lucky with these St. Paddy’s Day apps and be sure to tune into next week’s Apps on Tap!